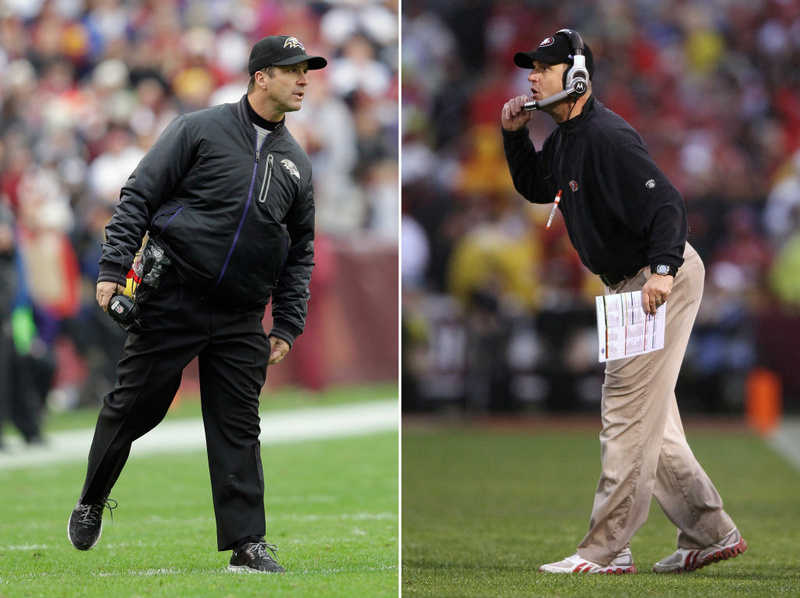 In this composite image a comparison has been made between Head coach John Harbaugh of the Baltimore Ravens (L) and his brother Head coach Jim Harbaugh of the San Francisco 49ers. Jim and John Harbaugh will become the first brothers to face each other as coaches in the Super Bowl. This Sunday's Super Bowl is the first time in American sports history that brothers will compete for a championship as head coaches. On one side, we have John Harbaugh of the Baltimore Ravens, and on the other, his little brother Jim, with the San Francisco 49ers. Last week, the Harbaughs said they would only communicate through texts leading up to the game, but they did talk on Monday and may go out for a quiet dinner tonight in New Orleans. Sports history has had plenty of interesting sibling rivalries — Venus and Serena Williams; Ronde and Tiki Barber — but there never has been one like the Harbaughs. Joining us now to breakdown the sports sibling dynamic are sports reporters (and brothers) Brian and Andy Kamenetzky.